Last week, animal lovers in Malta rejoiced as long-awaited legislation to make dog chaining illegal in the country was confirmed. Before then, Malta’s Animal Welfare Act lacked provisions regulating the keeping of dogs. Under the updated law, which was proposed in 2016, the use of inadequate collars will be considered inflicting suffering on dogs. The legislation also covers inappropriate confinement areas and the improper transportation of dogs. Pet owners can still use handheld leashes to walk their dog, during veterinary procedures, and under the direction of a veterinarian or animal welfare officer. Numerous physical ailments commonly result from dog chaining. Collars cause raw and sore skin, and can eventually begin to grow into the dog’s flesh. Chained dogs are also at a heightened risk of entanglement and strangulation, and are unprotected from harassment or attack by other dogs and people. Extreme weather conditions can be fatal to chained dogs. During hot temperatures, which persist nearly year-round in Malta, they may lack protection from the sun or adequate water supply. Owners who chain their dogs tend to engage in negligent practices, such as irregular feedings. They’re also less likely to maintain the area of confinement, resulting in a chained dog being forced to live among its urine and feces. By banning dog chaining, Malta has taken a crucial step toward creating a happier and healthier life for all canines. While no federal law exists in the US to regulate dog chaining, activists are working to pass similar legislation in this nation, too. Read more about their efforts here. WONDERFUL — GOOD WORK, MALTA — KEEP IT UP! Anyone who thinks a dog should live outdoors on the end of a chain totally fails to realize what a dog is, and should not keep any dogs. If you can’t make them part of your family and give them free access to house and safe yards, then you don’t deserve them. Amazing, can’t we all follow in their footsteps?? It’s an aweful way to keep an animal. It’s upsetting and it needs to stop all over the world! People can be so cruel. I pray for the animals everyday. They need our help. I only wish I could do more. There is a chain and a collar down the street from me. Their dog attacked my dog when he was not on the chain. I drive by there and look everytime I do. If I see it ever again anywhere I WILL call the anmial care and control or 911 as I hope this is soon to be against the law. Please do the same if you witness this anywhere. Thank you from an animal lover! What about America? Also, other parts of the world. Don’t leave them out. If, one country gets it the others must follow. AWESOMENESS. NOW LETS CONTINUE THIS IN THE U.S.
Leave all of Gods animals alone. Great ! Hope the dogs will have homes with Love ! Hopefully dogs are and will be treated well. It’s time this was banned in all countries. Why have a dog if you are going to keep it chained up. I think that leashing a dog is alright as long as the dog is cared for and not left out in the winter or without food and water, etc. This specific dog looks a bit hungry and uncared for. I don’t really see anything wrong with a dog house in decent weather or tied to a tree. You should see how sled dogs are treated in NH. It is very unfortunate that they are left in the cold tied outside to one dog house instead of together in at least a shed or a garage. These folks should hit up the dog sled businesses and put some of them in prison. 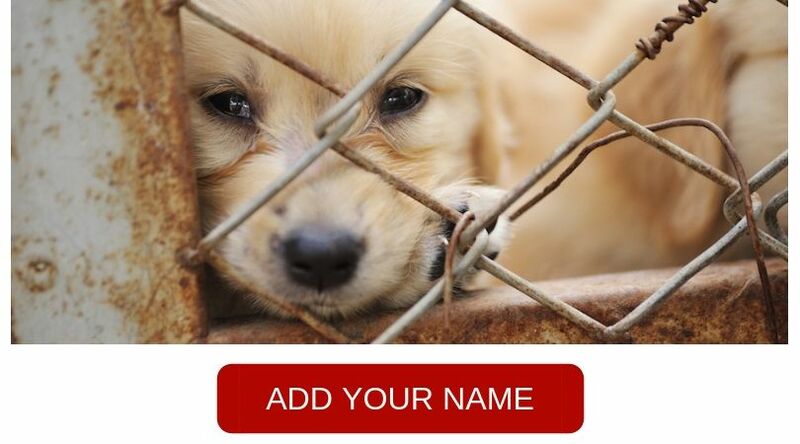 I also signed the petition about the poor dog thrown from a car that died. It seems that the injured suffering dog let the officer pick her up. Most injured dogs will sometimes even bite their owner. Some people should just not have pets. Another small step forward. Bravo. Need to take care of the dogs, not abuse them. I hope that the USA adopts the same no chaining dog laws soon. I live in Kentucky and it is heartbreaking the number of dogs I see chained. They do just become part of the scenery. They become neglected because without interaction they become aggressive. I love all animals and I just want to take them all in but can’t. I will soon spend my first winter here and am not looking forw as red to seeing all the animals that will be left out in the freeze cold. I’m afraid I will end up hating several of my neighbors. God will bless you Malta. This shows such humanity. Thank you. If you see anyone breaking these laws video them and report them to the police. Now the rest of the world must follow! Kudos to you MALTA… Now, wouldn’t it be nice if the rest of the world followed suit!!!! Thank you to MALTA for setting an example to other countries, that these social, sentient animals with the intelligence of a three year old child, will not spend their years tethered on a chain and living a miserable life. Dogs are pack animals and they belong as part of a family pack, otherwise do not have a dog. All Maltese people can be proud of their Government for taking this decision, it is very forward thinking and shows other governments that Animal Welfare must be on the agenda in a civilized society. I HOPE ALL NATIONS ARE WATCHING AS MALTS SETS THE EXAMPLE FOR THE REST TO FOLLOW. THANK YOU FOR BEING A NATION OF LAWS TO PROTECT THE DOGS WHO ARE OUR LOYAL LOVING COMPANIONS. THEY SAVE SO WE MUST SAVE THEM. GREAT NEWS TO “NO CHAINING” FOR DOGS ANY LONGER IN THIS SMALL PLACE IN THE WORLD. LET’S MAKE IT WORLD WIDE. This is great news! Hopefully, this law will be enforced. Good accomplishment! Now, there needs to be close enforcement of this law. I am happy this is law now. As a child, (im in my 60’s now), we grew up having our pets on chains, but only for a little while, to do its business when we couldn’t be with it all the time. Otherwise our dogs followed us around everywhere, without being on a chain, or lease of any kind, which i am sure is pretty much illegal these days. Those were the good old days. However, i am glad this law was enforced for our sweet babies. Some people abuse the situation and do neglect the dogs. Now if people will comply. So you think having your pet on a chain is GOOD OLD DAYS. You need help. I disagree. Humans have no business chaining up a dog for any reason. They need to gain up there own damn selves. Law enforcement must do everything possible to find and hold these violent criminals accountable.This is an Act of Violence and must be investigated, charged and sentenced as such. Understand that this is the only victim that we know of-Undoubtedly there are others.Anyone capable of committing such violence to this innocent victim is capable and most likely has done it, and will do it, to others! Most of the time it is MEN Who mistreat animals and children, women. Something must be done about that!!! If there is any indication that a man is violent or demented in any way, they must be watched. It happens all too often and it is frightening. If they can’t walk away and get their mind set changed they will end up in jail and should be!!! You are a great example for all other corners of the world. Thank you for making the right choice. Is so upsetting that I don’t have a civil comment. Karma will get all cruel people who do cruelty on animals! Brilliant news Malta. Thank you so much. Let’s hope the rest of the World follow on as soon as possible. Thank you Malta. Lead the way. Brilliant news Malta. Let’s hope the rest of the World follows as soon as possible. So comforting when right wins over evil. That is fantastic news Malta!!!!! Great news! Well done, Malta! What fantastic news! One baby step forward. Thank you Malta decision makers and those who lobbied. If only Canada would develop similar legislation and all other countries as well. Thank you Lady Freethinker for reporting on this issue, and for producing a fantastically written report.